Google released an update to its internet chat tool Hangouts on Wednesday, aiming to make it suitable in workplaces so the Alphabet Inc unit can compete with business software makers including Microsoft Corp and Slack Technologies Inc.
Hangouts Chat sits in Google's G Suite, a workplace software package that includes email and word-processing tools, for which more than 4 million businesses globally pay as much as US$25 per user each month. "I see this as the second incantation of Hangouts," Scott Johnston, director of product management at Google, said in an interview. "We want to move toward helping people move faster at work." But businesses have other options. Chat app Slack has signed up 50,000 paying teams as workers adopt more robust alternatives to email for long-distance communications. Microsoft's Teams provides similar functionality in its Office 365 package, which is well ahead of G Suite in customers. Microsoft held about 37 percent, and Slack about 5 percent, of the nearly US$2 billion global market for collaboration software in 2016, according to research firm IDC. They also can use Google-developed artificial intelligence services, such as a meeting scheduler tool that sets group meeting times based on its understanding of individuals' work habits. 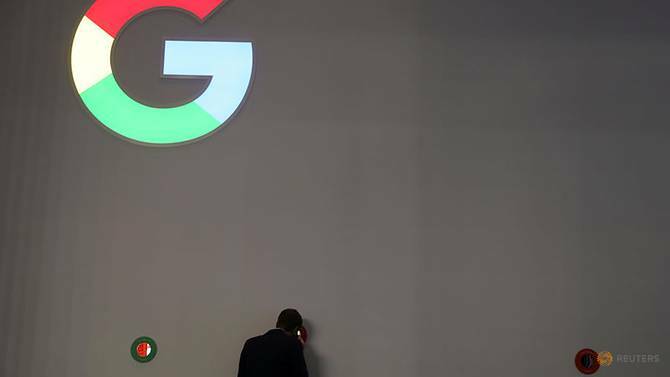 Google is bringing similar artificial intelligence to its calendar software, with a system that suggests a meeting location after analyzing a company's conference room listings and seating chart.